The Mall of Dilmunia will have many attractions. British design firm ELSS Engineering, a specialist in large-scale aquarium design, installation and management, has won a multi-million-dollar contract to build an aquarium at an upcoming mall in Bahrain, a report said. 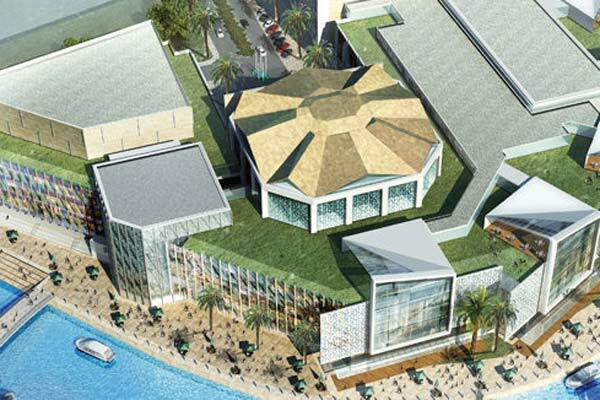 The 17-m-high shark and fish aquarium will be one of the highlights of the Mall of Dilmunia, located in the heart of Dilmunia Island within the Muharraq Governorate. The contract covers the complete design, installation and five-year management of the aquarium that will have black-tipped sharks, nurse sharks, stingrays and a range of smaller tropical fish, which the company will also source for its client, said the report in Belfast Telegraph. The aquarium, one of the main family entertainment features of the mall, will contain some 700,000 litres of water. UK Export Finance (UKEF), a UK government department that provides finance and support for UK exporters, worked with ELSS and the Bank of Ireland in order to secure the deal, the report said. The mall will have a total built-up area of 125,000 sq m and a gross leasable area of 47,300 sq m.
The cylindrical aquarium is meant to mesmerise visitors from each level of the mall. The mall will also have a state-of-the-art large indoor ice rink built on the first floor, and three more concepts yet to be revealed. The main contractor for the project is Cyprus Cybarco Tabet JV and the international architectural design is by DP Architects. The target opening date is October 2019.